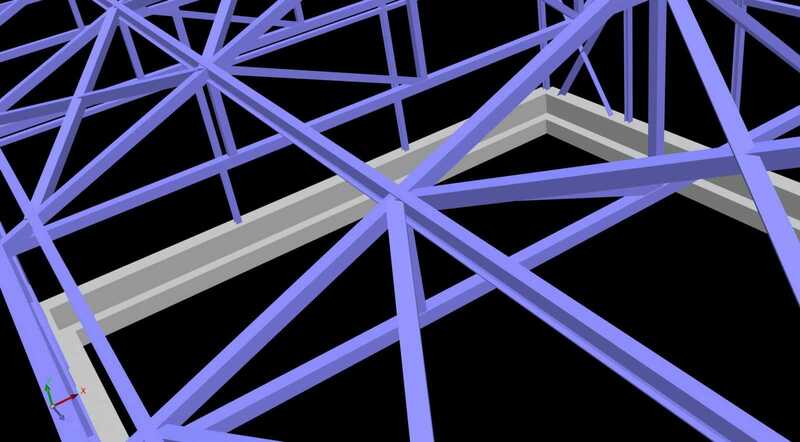 Analysis and design of steel structures and connections. 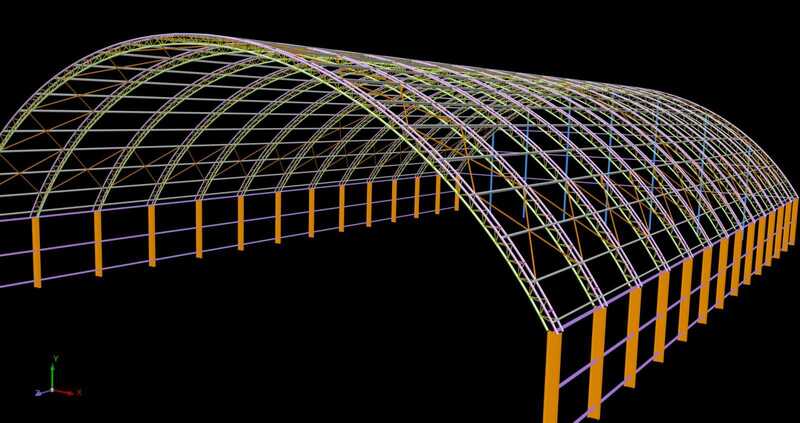 The additional tool (add-on) about the design of steel structures includes the design of the steel structures and the design checks of the steel connections according to EC3. 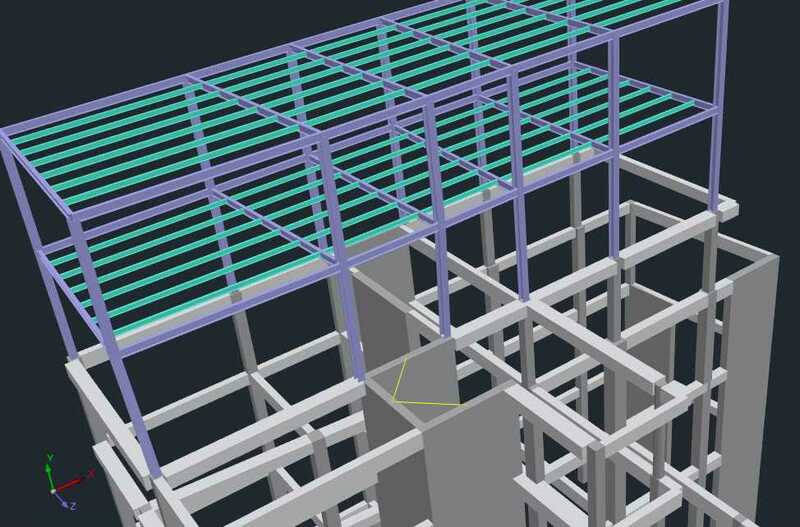 It also includes, the generation of construction drawings, detailing of connections and the bill of materials as well as, the production of the full report of the project. 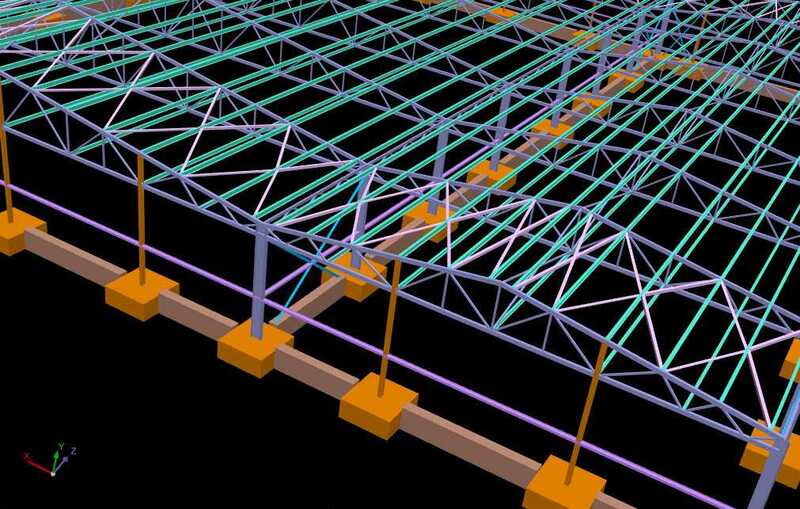 Automatic design of any steel and / or mixed-structure, such as industrial buildings, multi-storey steel structures, trusses and canopies, according to EC3. 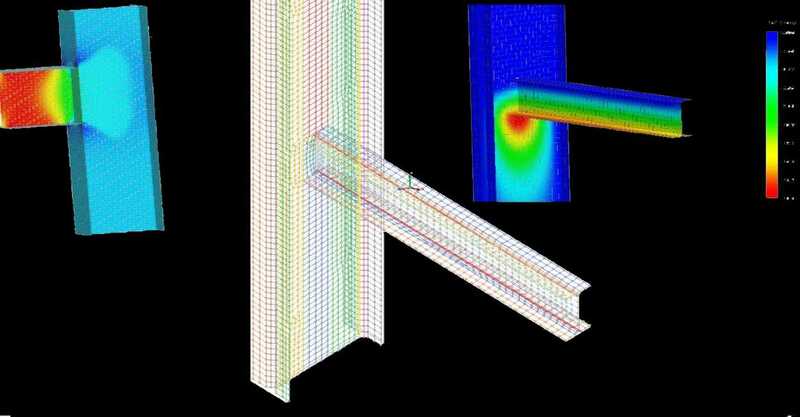 Classification of the cross section according to EC3 and strength check of sections in all types of tension (tension, compression, bending, shear, torsion, bending and shear, bending and axial force, bending and shear and axial force). 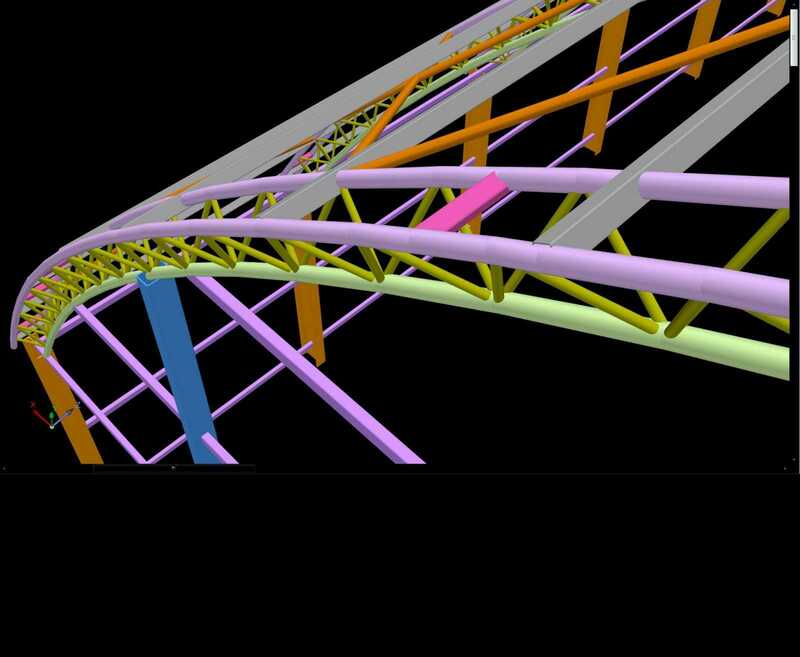 Check the structural member in bending, lateral and torsional buckling . Summary and detailed presentation of the results. 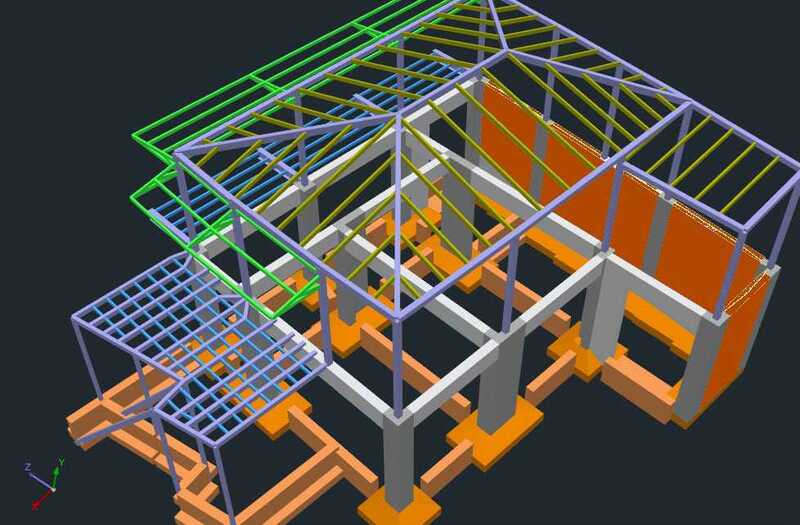 Foundations with spread footings, strip footings and connecting footings with beams with automatic sizing and bearing control of steel elements. Library of steel connections. 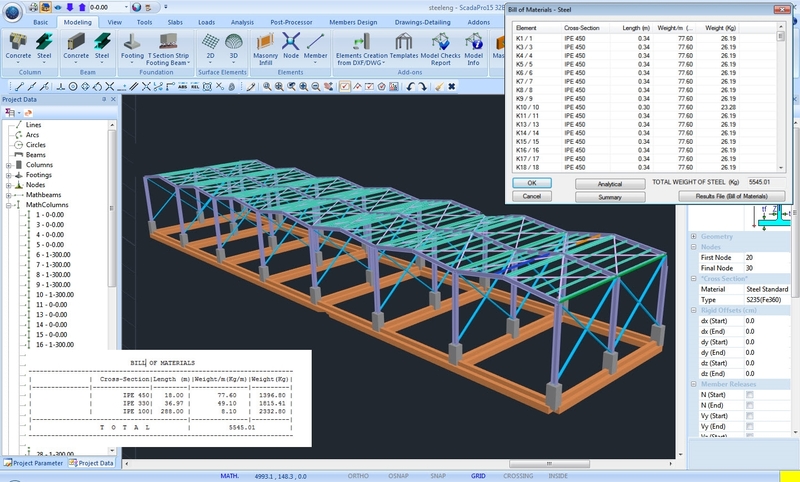 Includes more than 130 kind of connections that cover all the cases specified by the EC3 Part 8. 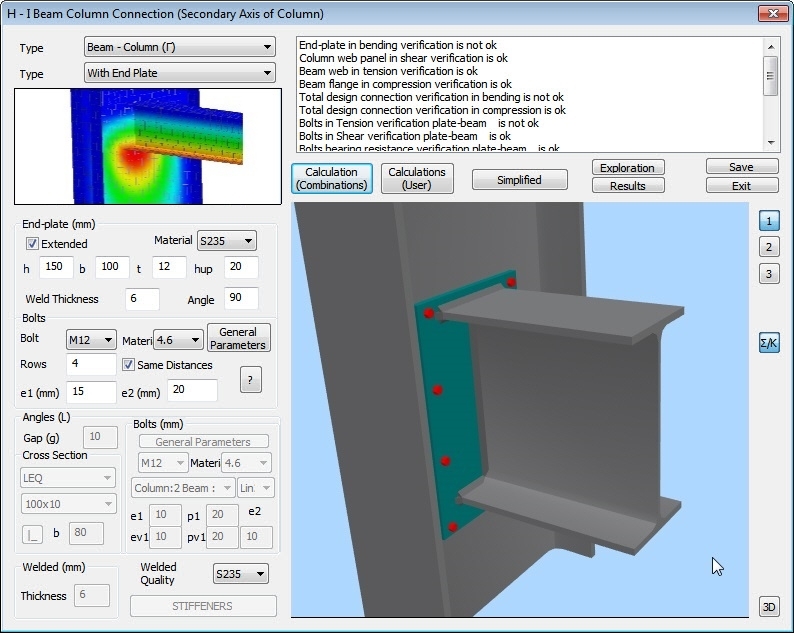 Ability to simulate steel connections with 3D finite surface elements. 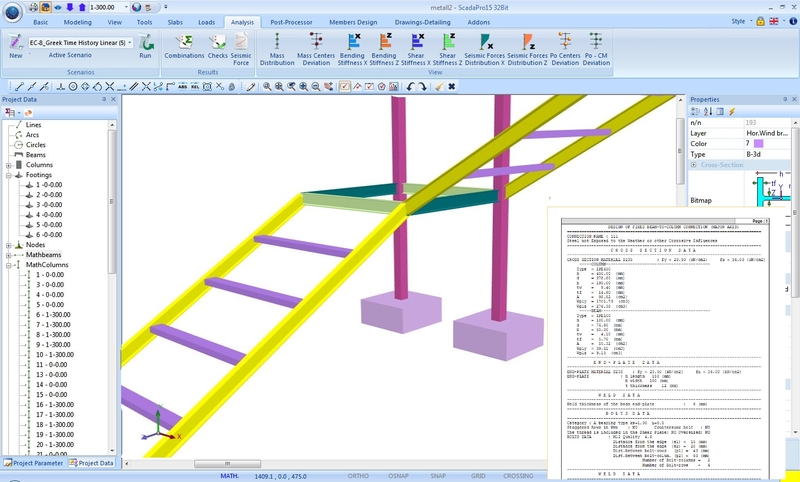 Check connections (all types) and three-dimensional viewing the details of the connection on screen with scale and output the detail of connection to a file in dwg format. 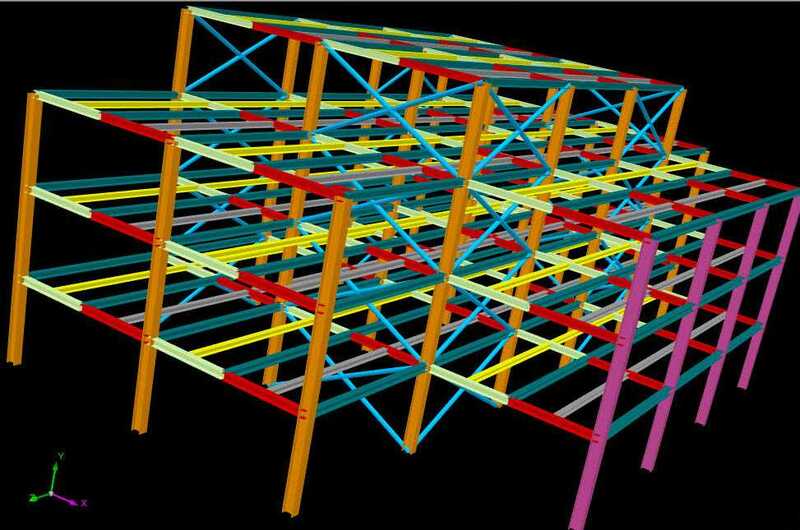 Automatic production of the structural drawings. 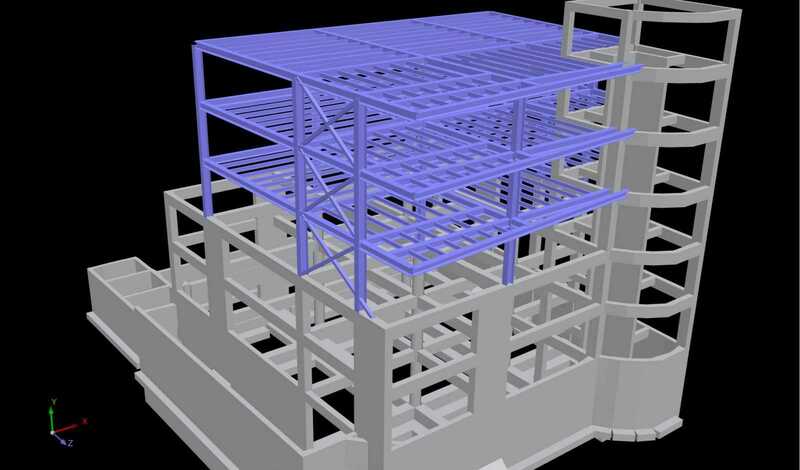 The complete structure is exported in 3D DWG format. 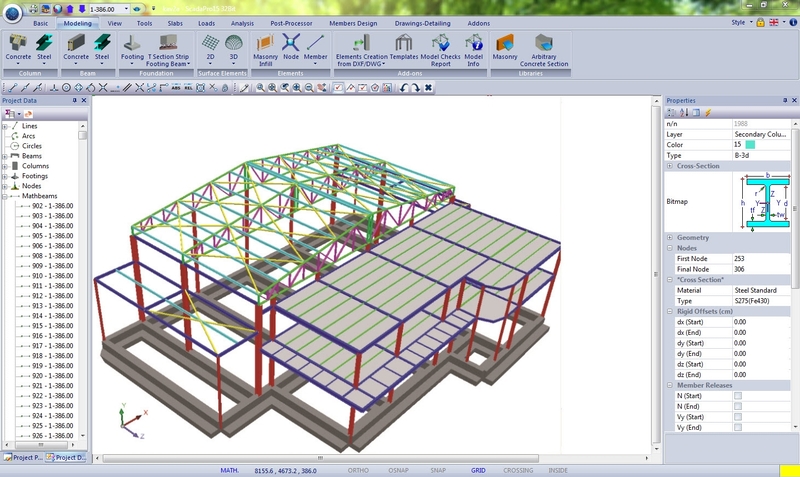 Rich libraries with ready to use symbols, annotations and sketching details. 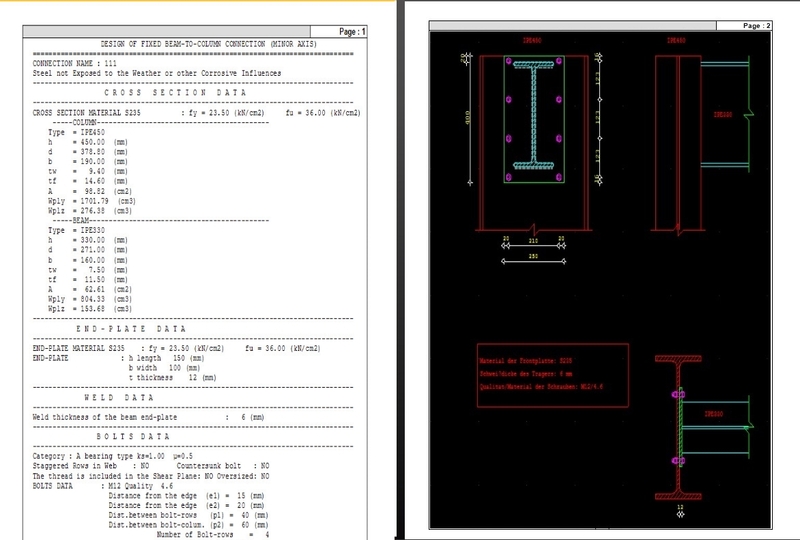 Automatic production of the drawing plan, elevation and section view of a steel connection. 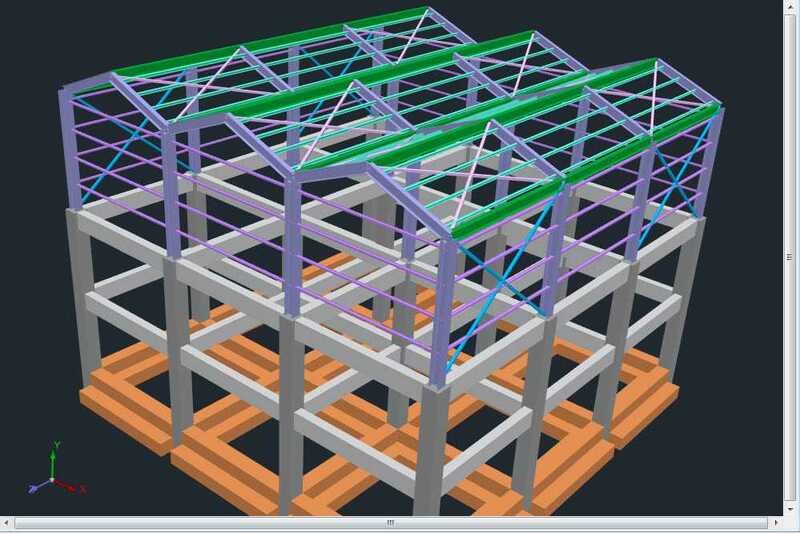 Complete and detailed bill of materials for the steel structure per elevation, per section or type of structural member (columns, beams, girders, purlins, bracing etc.). 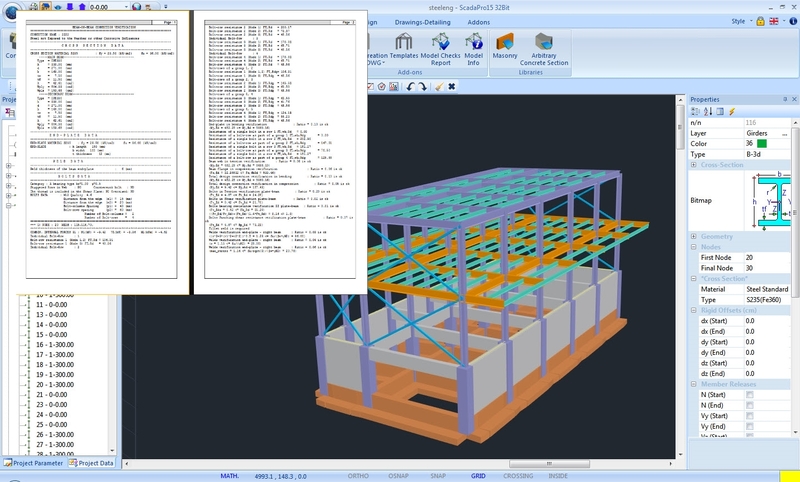 Export in TXT or XLS file format. 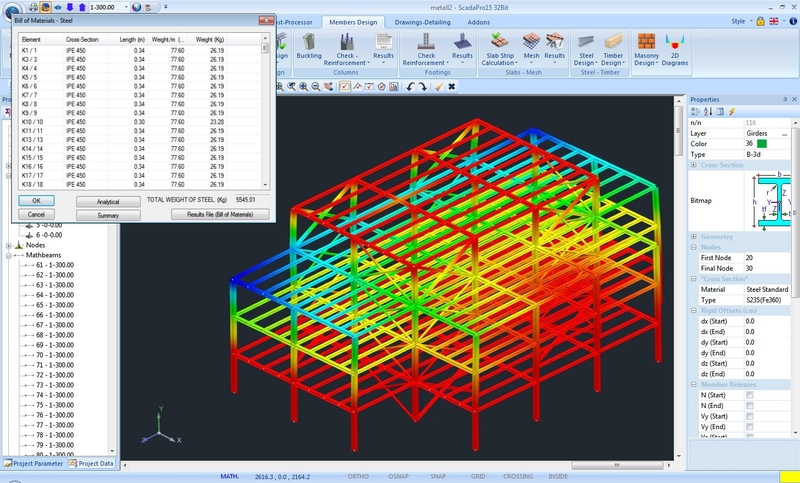 User friendly interface for the creation and editing of the report. Selection of the chapters to be included in the report. 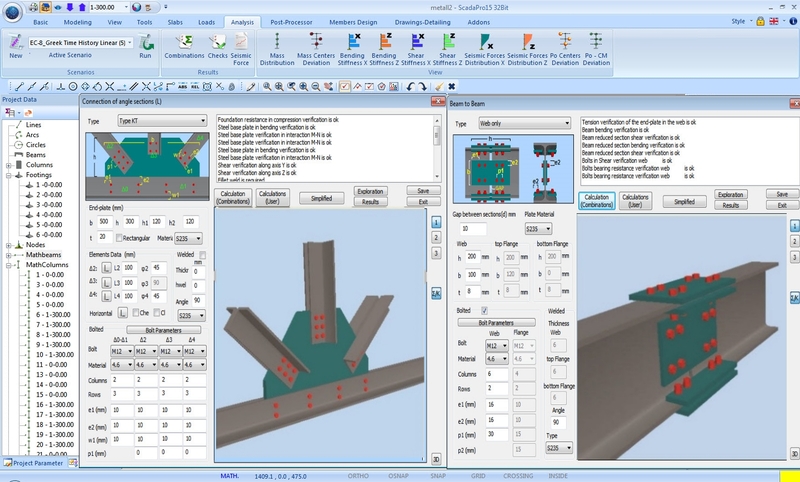 Automatic creation of the report, based on relevant regulations. Many capabilities in editing the report: header and footer tools, chapter positioning, table of contents etc. 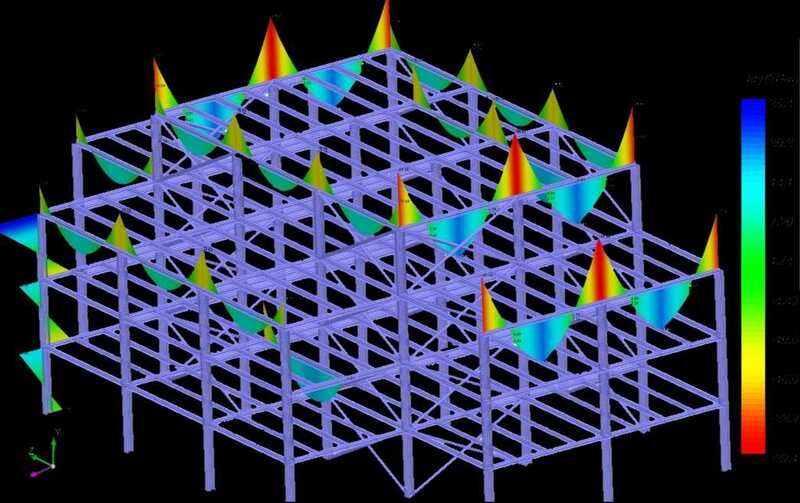 Beams results also include envelope diagrams of internal forces. 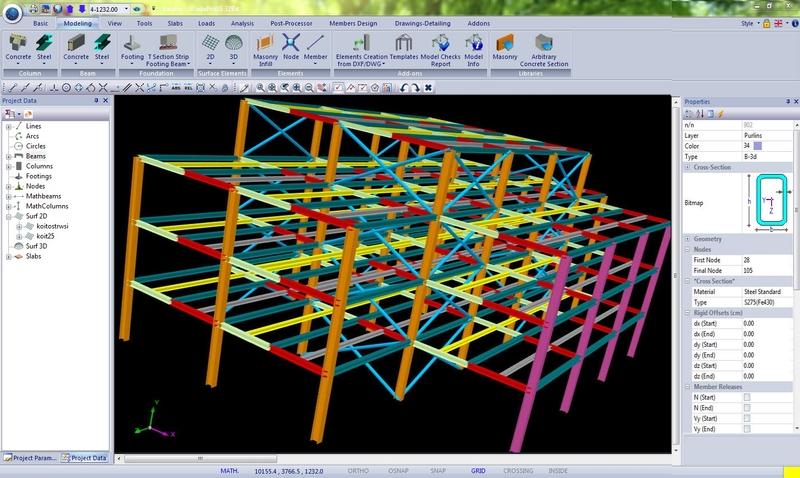 Use of a stand-alone user interface for the preview of the report. 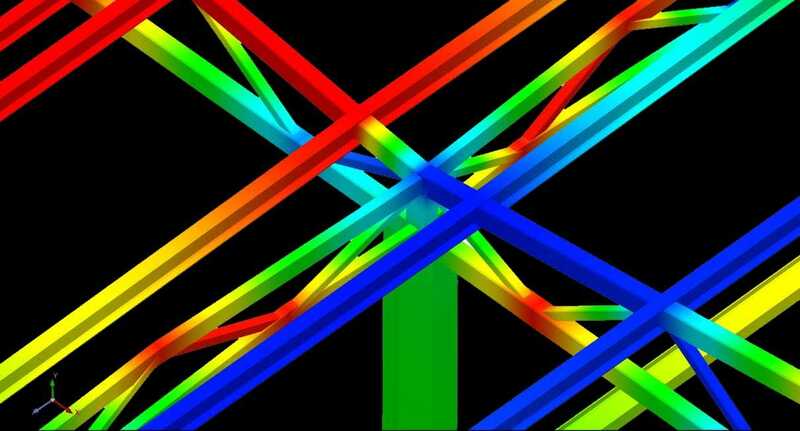 Export in one of the following file formats: RTF, PDF, HTML, PPRT, XLSX.